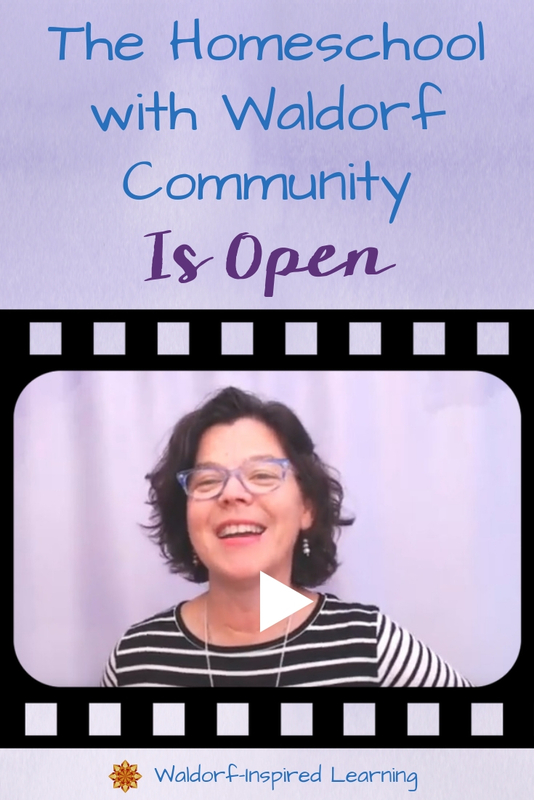 Are you longing for a community of Waldorf homeschoolers to support and accompany you on your homeschooling journey? I know I sure was when my kids were in the grades. 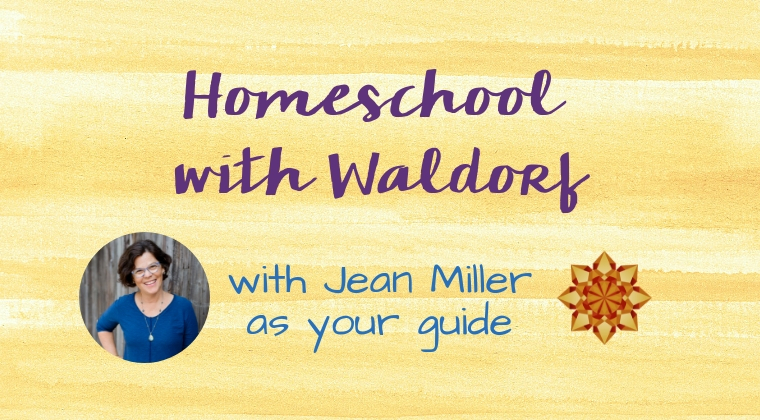 Hey there, I’m Jean, homeschooling mother of three and founder of Waldorf-Inspired Learning. And I’ve created a new mentorship community called Homeschool with Waldorf. I started this community in the fall of 2018 with a wonderful group of founding members. And now I’m opening it up to all homeschoolers who want this type of support. No matter what curriculum you use. No matter how old your children are. No matter how much you know or don’t know about the Waldorf approach. Every month, I release a new Masterclass on a single topic within Waldorf homeschooling to help you focus on one thing at a time. We have a Plan Along session each month online where you can get your planning done alongside other homeschoolers with me there to answer your questions. There’s a live group Coaching Call every month for all the questions that pop into your head as you navigate the Waldorf approach. And we have a fabulously supportive Community that you can engage with as often as you wish. You can find all the details right here: Homeschool with Waldorf. Feeling overwhelmed or uncertain if you’re doing it right? For years, I’ve been working with Waldorf homeschoolers who are tired of feeling uncertain and overwhelmed all the time! Moms (and a few Dads) who have high standards and want to bring the beautiful Waldorf approach to their children. But they just aren’t sure how to do it all. Or even if they’re doing it right. If this sounds like you, believe me, you’re not alone! Maybe you’ve even been struggling to bring Waldorf alive in your home for a few years now. Learn how to put into practice what is described in the books. Inside the Homeschool with Waldorf community, I help you toggle between planning meaningful activities for your children and doing the lessons. With lots of laughter and lots of honesty.